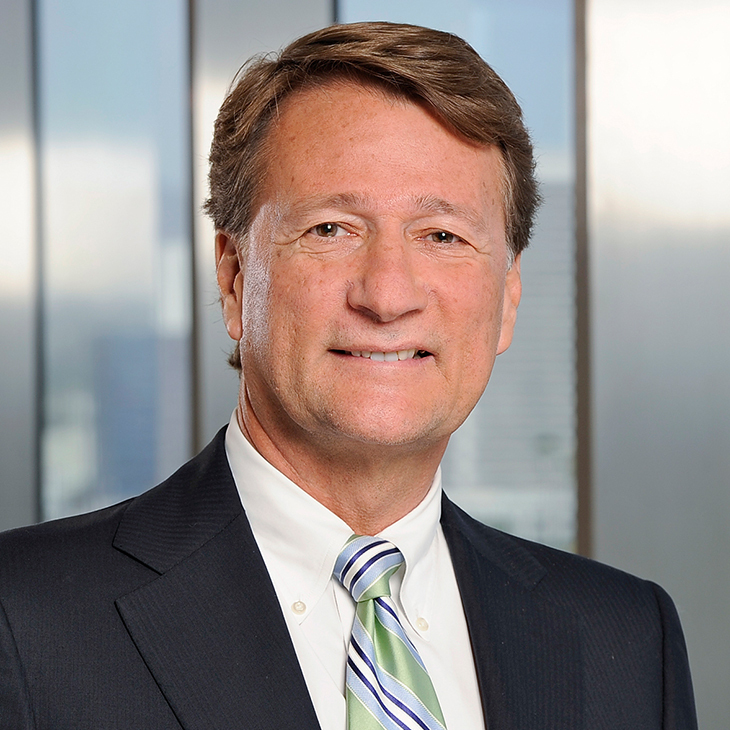 Craig Moyer is a member of the firm’s Management Committee and leads Manatt Energy and Environmental. His practice focuses on all aspects of environmental and energy law. Among other honors, he was selected in 2014 as one of the Top 100 Lawyers in California by the Daily Journal. Craig has repeatedly been recognized by The Best Lawyers in America, and in 2013 received the “West Coast Law Firm of the Year” by Oil & Gas Awards. Craig has advised clients in connection with myriad complex regulatory interactions. He provides crisis management advice and legal representation in high-profile matters, including those relating to releases of hazardous materials and workplace health and safety incidents. Craig has consistently affected rule modifications during the regulatory process and through litigation. Craig is a regular speaker and commentator on issues related to energy and the environment in publications such as Forbes, Washington Examiner, SNL FERC Power Report, Power Engineering and Law360. He has written three books and dozens of articles on environmental law topics. Successfully represented the Navajo Nation in the acquisition of the Navajo Mine on its land in New Mexico from BHP Navajo Coal Co. (a BHP Billiton entity). Represents the California Independent Petroleum Association (CIPA) in litigation challenging state oversight of hydraulic fracturing activity, and has been addressing efforts by cities and counties around the state to regulate the use of hydraulic fracturing and other well stimulation activities. Represents Golden State Water Company in its regulatory interaction following a methane gas leak from a water well it operated in Hawthorne, California. Represents Peabody Western Coal Company in securing federal permits and environmental approvals for the continued operation of its Kayenta Mine in Arizona and litigation challenging its activities. Represents the Quemetco lead recycling facility in the City of Industry, California, in connection with various regulatory interactions, including an increase of the hours of operation at the facility and extension of its Treatment, Storage and Disposal Facility permits. Successfully represented a coalition of small and independent refiners seeking modifications to California’s greenhouse gas regulations, including cap and trade and the low-carbon fuel standard. Successfully represented the Regents of the University of California as lead defense counsel in an unprecedented felony filing involving the death of a research assistant in a lab fire at UCLA. The matter raised cases of first impression regarding the ability of a criminal complaint to be brought against a state public entity, the statute of limitations, and the standard of care in academic, as opposed to commercial, laboratories. Represents Lakemoor Development in all phases of a turnkey environmental remediation and commercial/residential redevelopment project in Henderson, Nevada. The property, which covers more than 1,000 acres, consists of federal and private lands being assembled under congressional authorization for privatization and cleanup. Represented K&N Engineering in its efforts to shape and streamline the California Air Resources Board’s (CARB’s) Executive Order approval process for sale of K&N vehicle air intake systems as well as in a related enforcement action. Successfully represented American Energy Operations, a privately owned oil production company, in connection with its sale of certain producing assets to a subsidiary of BreitBurn Energy Partners L.P., an NYSE-listed oil and gas partnership focused on the acquisition, exploitation and development of oil and gas properties, in a transaction valued in excess of $100 million. Speaker, “New Business & Entrepreneurship,” Middle East Refining & Petrochemicals Conference and Exhibition, May 2014. Quoted, “Calif. Faces Big Hurdles To Meet Lofty Carbon-Neutral Goal,” Law360, September 12, 2018. Quoted, “Auto Emissions Plan Puts Trump, Calif. On Collision Course,” Law360, August 2, 2018. Quoted, “Calif. Fires First Shot In EPA Fuel Economy Rollback Fight,” Law360, May 4, 2018. Quoted, “Under both Trump and Obama, power plant owners get little certainty on greenhouse gas rules,” CNBC, October 12, 2017. Quoted, “Details Will Bedevil As Calif. Cap-And-Trade Moves Forward,” Law360, July 20, 2017. Quoted, “‘Most important vote’ set today for cap and trade,” E&E News, July 17, 2017. Quoted, “Dakota Access Saga Highlights Value Of Tribal Consultations,” Law360, June 7, 2017. Quoted, “Utilities post-Paris: Uncertainty rules power sector as Trump shatters climate consensus,” Utility Drive, June 2, 2017. Quoted, “Lawyers: U.S. Leaving Climate Pact to Affect State Businesses,” Daily Journal, June 2, 2017. Quoted, “Trump, Calif. Poised For Energy And Climate Policy War,” Law360, April 21, 2017. Quoted, “Calif. Cap-And-Trade Ruling Won’t Settle Program’s Fate,” Law360, April 7, 2017. Quoted, “Utilities Counting on Carbon Regulation to Return,” Bloomberg BNA Energy and Climate Report, March 29, 2017. Quoted, “Trump Backs Up Paris Exit Talk With Climate Funding Cuts,” Law360, March 17, 2017. Quoted, “Tribes’ Dakota Access Win Resounding, But Vulnerable,” Law360, December 5, 2016. Quoted, “Feds’ Tribal Talks May Yield Clarity For Wary Energy Cos.” Law360, October 18, 2016. Quoted, “Automakers Under Microscope for Fraud,” Energy Intelligence, April 28, 2016. Co-author, “California Water Bond Funding Will Begin to Flow,” Environmental Leader, February 29, 2016. Quoted, “VW faces array of plaintiff's lawyers along with more serious problems,” Daily Journal, January 21, 2016. Quoted, “VW Emissions Suit Could Open Door To Sweeping Settlement,” Law360, January 4, 2016. Quoted, “7 Tips For Companies Working In Indian Country,” Law360, April 9, 2015. Quoted, “Challenge To Ore. Fuel Standards Is A Legal Long Shot,” Law360, March 24, 2015. Quoted, “Election win puts rural San Benito County on anti-fracking map,” Los Angeles Times, November 29, 2014. Quoted, “Calif. County Fracking Bans Set Stage For Statewide Brawl,” Law360, November 7, 2014. Quoted, “Denton faces lawsuits a day after it passes fracking ban,” E&E News, November 5, 2014. Quoted, “Pacific Northwest projects would dwarf KXL emissions – report,” E&E News, September 10, 2014. Quoted, “States join Murray Energy in legal effort to block EPA's Clean Power Plan" SNL FERC Power Report, July 2, 2014. Quoted, “Coal company uses glitch to swing for the fences against EPA rule,” Washington Examiner, July 1, 2014. Quoted, “EPA Emissions Goals Remain Viable Despite High Court Loss,” Law360, June 23, 2014. Quoted, “Calif. Energy Practices Seek Upper Hand In Renewables Push,” Law360, June 16, 2014. Quoted, “New EPA rules may speed up changes in how you get power,” Washington Examiner, June 3, 2014. Quoted, “Obama EPA Issues Coal-Killing Rules To Cut Carbon Emissions 30 Percent,” Forbes, June 3, 2014. Quoted, “Carbon emissions to decline 30% by 2030; states can create plans, EPA says,” Power Engineering, June 2, 2014. Quoted, “Environmental Regulation to Watch in 2014; Cooling Water Intake,” Law360, January 1, 2014. Co-Author, "A Sensible Approach: Private Funding of Energy Efficiency Retrofits," Environmental Leader, October 2011. Co-Author, “Brownfields: A Practical Guide to the Cleanup, Transfer and Redevelopment of Contaminated Property,” published by Argent Communications Group, 1998. Co-Author, “The Hazard Communication Handbook: A Right to Know Compliance Guide,” Clark Boardman Callaghan Publishing Co., 1996. Co-Author, “The Clean Air Act Handbook: A Practical Guide to Compliance,” Clark Boardman Callaghan Publishing Co., 1991, 1st Edition. Co-Author, “Coping with a Decrease in Collateral: The ‘Less Secure’ Loan in Petroleum Financing,” 18 Uniform Commercial Code Law Journal 3, 1985. Co-Author, “Trends in Arrangements for the Development of Alaskan Petroleum Resources,” 12 UCLA-Alaska Law Review 1, 1983. CARB is in the process of revising their existing Enforcement Policy.